Author: Inge Brinkman. Series edited by: Michael Bollig, Wilhelm J.G. Möhlig. The present study is an impressive testimony of how the Angolan Civil War that was waged with brute force on each side, changed and destroyed local cultures and that formed a “culture of violence” through many years. In this sense, Inge Brinkman’s monograph is of huge importance for the wider African context. Out of a genuine anthropological perspective, the author tries to give an insight of the violence and the war with the help of oral documentations. The history of the countless African civil wars (Sudan, Somalia, Kongo or Liberia) are frequently understood and documented as a political history. In opposition to this, Brinkman convincingly offers a new perspective with the main subjects of fear, suffering and terror. The monograph is based on data collected between 1995 and 2000. 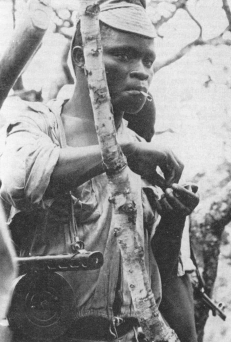 Oral traditions of the fugitives of the Angolan Civil War in Northern Namibia as well as the extensive study of historical sources in Portuguese archives are collected in this work. It deals with the topic of the first stage of the Angolan War for Independence in South-East Angola, i.e. the space of time from 1960 to 1974. 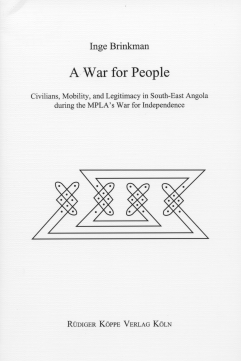 The study starts with an informative introduction which outlines the political history of South-East Angola in an interesting way as well as it discusses basic methodological questions which are subject of recent theoretical debates. This work deals with different experiences of violence and works out their cultural meanings. Violence turns into a change agent, i.e. violence changes personal references, social formations and conviction systems. These changes are elaborated with a strong sense of comprehension of personal nuances. Brinkman succeeds in representing her informants not only as victims, although their memories clearly revolve around suffering, pain, grief and destruction, but also show their scope of action, flight strategies, non-cooperation and open resistance. The author has been a member of the interdisciplinary Collaborative Research Centre 389 Arid Climate, Adaptation and Cultural Innovation in Africa (1995–2007) at the University of Cologne, Germany. Using archival sources, secondary literature but also interviews with more than 90 informants Brinkman portrays the course of events from a close perspective. [...] Brinkman has produced an account of a central, and neglected side of this and most other wars – she has given voice to those who have suffered through it, and this merits attention and respect.